You look at her and it hits you.. how much longer will she play with those dolls? When will she stop pretending? She’s getting so tall now, and it’s so fast! Capture these moments before they’re gone forever. She’s only this little.. once upon a time. Fairy sessions are super fun to watch for you. Watch as your baby girl smiles as she’s getting her wings or being crowned. See her flit through the forest on her tiptoes. Listen to her giggle and laugh. Be mesmerized by your baby as she twirls in the sunset. This is what fun is all about. You and I will chat about what you have in mind for the session, this is what you love most about your daughter and what you'd like to remember in her photos. Don't worry if you don't have any ideas about what you'd like her shoot to look like, I have plenty for both of us! Her experience is half of an amazing photo session, let's make it something she'll remember and talk about for years! Once you book, you'll get email reminders about each appointment and weather updates leading up to the shoot day. I know, you're worried. You're thinking "But my girl is wild and I know she won't sit still for photos!" or maybe you're thinking "Oh my gosh, I know my girl is amazing but she's so shy she takes a while to warm up.. will we have time?" Yes, I promise I know. Fairy sessions are SO FUN and I’m often told at the end of the session that the giggling kid that I was just with for an hour on a stroll through the forest is usually super shy. Not with me! I went to school for Early Childhood Education so that I could work in preschool. I am crazy silly and super patient. I ENJOY being with your daughters, Plus I know what’s appropriate for her age and how to run a session. I speak TO her like a person, and not at her. I read her and I know when she’s done for the day. There are no crying princesses at my photo appointments. You'll come and leave with a happy, thrilled little girl who will talk about how she was a fairy for weeks and months afterwards. You've already seen what I offer on the website, so you've already had what you want to go home with in the back of your mind for a while. You'll come to the studio for the reveal of your images. See them all large on my studio TV screen and get my professional recommendations about which ones will go well together. You'll see a pre-design of an album so that you can know what your girl's story will look like laid out, no guesswork needed! Of course, you can change anything you want, but it'll be super easy for you to see it all. You'll get notices in your client portal to keep you up to date as to where your order is. Each custom made dress has matching accessories. 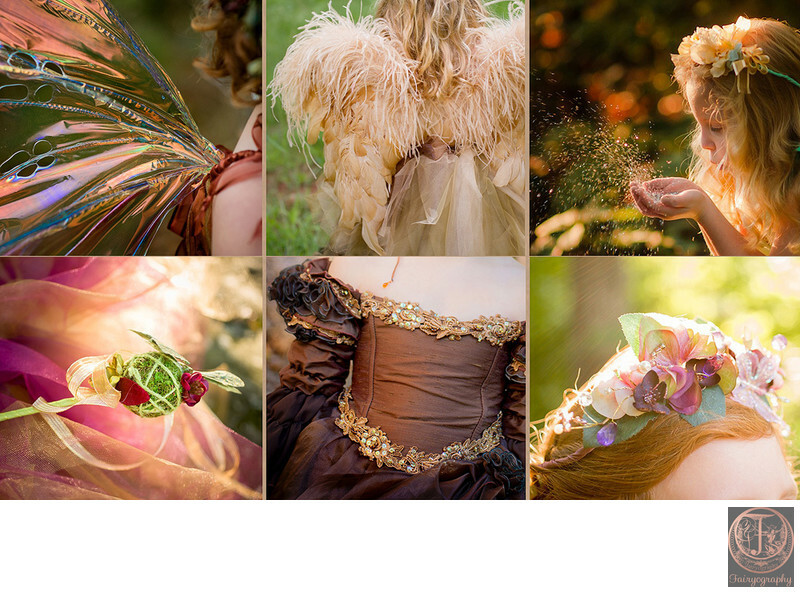 Flowers, wands, crowns, wings, also sessions can include other props to help tell the story. Most wings are fully strapless, making her super comfy. Each dress has matching accessories for multiple ages. Baby girl doesn’t wear a crown? We’ll put a barrette or clippie on her instead. Each dress is made from soft, swooshy material for maximum movement, because who doesn’t love twirling? Depending on the theme for your session, I will bring extra props to make it more magical of an experience. Wands to hold, glitter to blow, it’ll all just add to her fun. If your lovely girl is old enough to be safe around a curling iron (5 years old and up), your session will include a trip to our wonderful partner salon, Blonde Beauty Bar! Heather (not me, a different Heather) will pamper your daughter and give her a princess or fairy ‘do and some light makeup right before the photo session takes place. I will suggest a style based on your girl’s personality and hair length or the dress she’ll be wearing, but Mommy of course has full veto power in case there’s a style you particularly like or don’t like on her. After we leave the salon, we’ll go to the photo location to get dressed, since the dress and wings are too big to drive in! 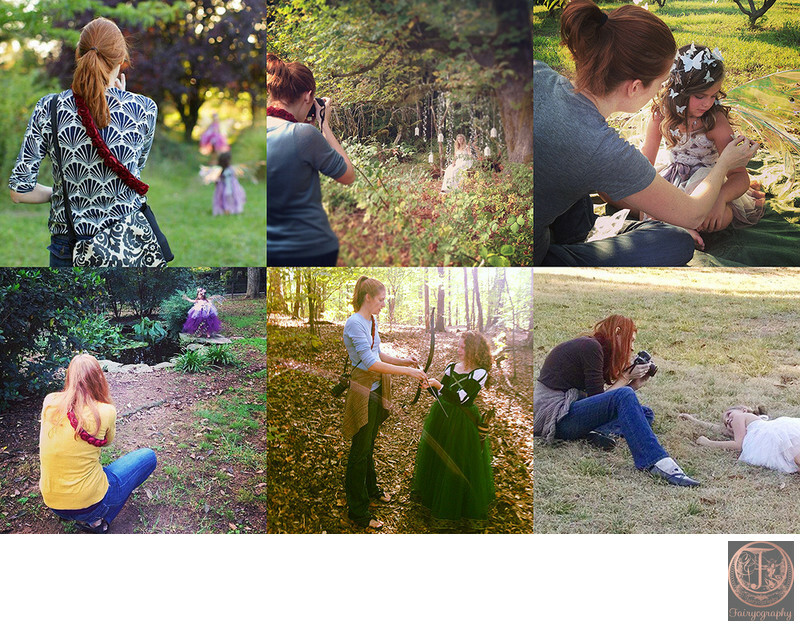 Fairyography photo sessions are all about being magical and having fun. I am silly enough to get REAL smiles and giggles so real you can hear them in the pictures. I sing, I dance, I twirl, we play games. Potty humor has been known to happen. I work hard to make a relaxed, easygoing atmosphere. I am always very patient with my little subjects and take my time making them feel like the little princesses or fairies we know they are.I’m covered in dirt and leaves or grass when I get through with a session because I’m all over the ground or standing on rocks to get the most fun angles for photos. They love watching me make a fool out of myself! Edit your photos, bringing out the beauty of your girl or girls while getting rid of icky boogies or ouchie bruises. I add in the little touches that make the images truly magical and one of a kind. After the images are done having their magic added, I’ll email or call you for your ordering appointment. You come in with me, we go through your images together so you’re not overwhelmed having to do it alone online. I’ll help you through your choices in about and hour to an hour and a half. 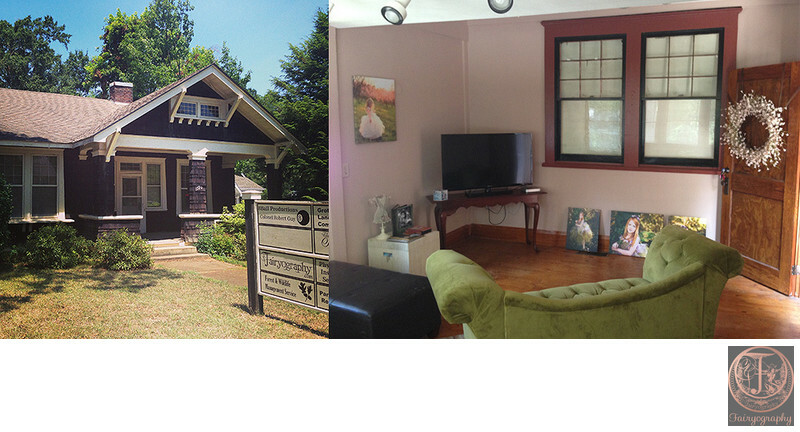 Compare images side by side and hear which will look best on what product. See and touch the albums and canvas wraps, the mini books and prints. You KNOW exactly what you’re getting and when.